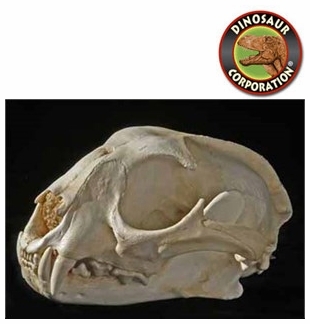 Caracal skull replica is cast from original specimen. Felis caracal: adult male skull CAS specimen. The Caracal also called Persian Lynx or African Lynx, is a fiercely territorial medium-sized cat. The caracal (Caracal caracal) is a medium-sized wild cat that is around 1 metre (3.3 ft) long. The caracal is sometimes called the Desert Lynx or African Lynx, but it is not a member of the Lynx genus. The caracal is native to Africa, Central Asia, Southwest Asia and India. Caracals are about 40 centimetres (16 in) to 50 centimetres (20 in) tall at the shoulder. Caracals have a short tail. The male and female look the same.